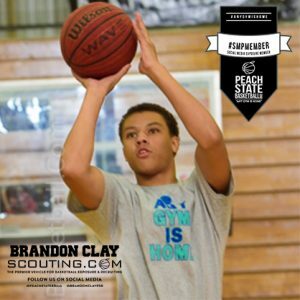 This program is designed for young men and women aiming to not only obtain college basketball scholarships but garner all of the accolades and name recognition that their play warrants. 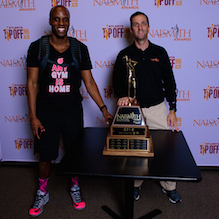 In addition to gaining college exposure, there are numerous in-season and post-season (local and national) awards that require an awareness of both college coaches and media personnel alike. 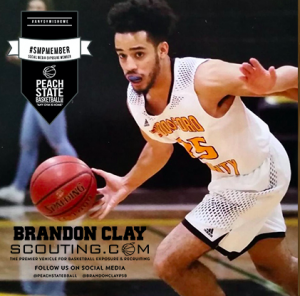 Our “Social Media Recruiting Exposure” package allows players to work hand-in-hand with our team of international evaluators spearheaded directly by Brandon Clay to keep our vast following up-to-date with what’s going on at a given point in time in the players high school career. 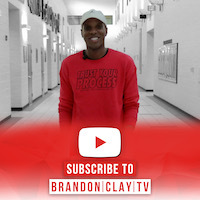 With over 50,000 collective followers on our team’s social media outlets, we’re in a unique position to assist with both creating awareness of a prospect’s skill set and recent on-floor performance. 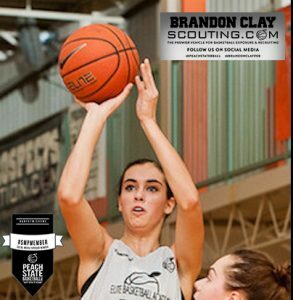 In addition, our monthly social updates will enhance the branding of players even if they have already made their college choice. The #SMPMember Exposure Package allows our members to work with us directly to help filter through information that is relevant to both potential college coaches and potential award voters. It also allows the people following the prospect that we’ve teamed up with directly to stay aware of what is going on in their world through a credible, third-party source. 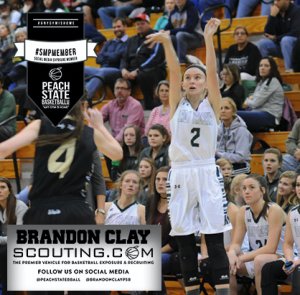 From crisp recruiting updates to updated in-season stats to a potential last-minute change in schedule that needs to be conveyed socially, this package allows the player to control the information available to the public about their game. 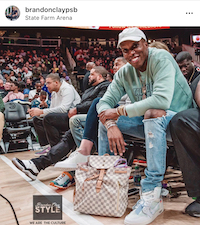 – At least 12 posts during the year-long membership for an average of one monthly update over sent out directly through Brandon Clay, Jonathan Hemingway and/or Kris Watkins’s main accounts on Instagram or Twitter. 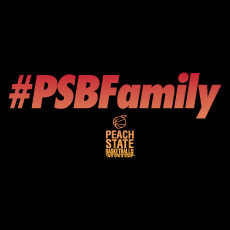 This also includes the #SMPMember Twitter account. 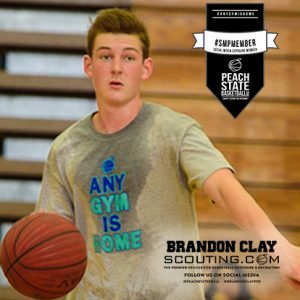 – Includes a new or updated individual Exposure Webpage on PeachStateBasketball.com with a current evaluation from Brandon Clay’s team of international evaluators. 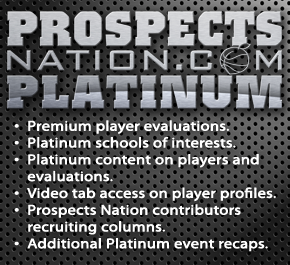 – Increased awareness to the college coaches and media outlets who follow and/or read our feeds for information on a daily basis. – Assistance with identifying potential quality fits at colleges and universities nationwide. 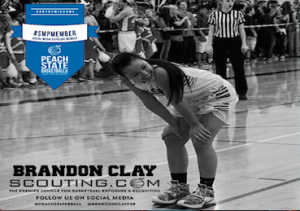 – Individual player recognition on our #SMPMember Package landing page. ***Due to the volume of events that we produce inside of the July evaluation periods, we will not accept new clients during the month. ****Package lasts from date of purchase until the prospect finishes high school. ****Must already have an SMP Member page established to purchase the breakdown. ***Video evaluations typically take 8-10 weeks to produce and post. 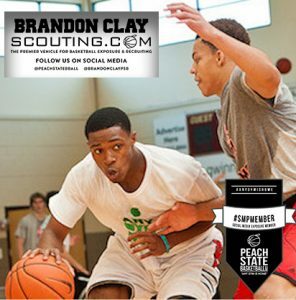 ***Contact Brandon Clay directly at BrandonClay@PeachStateBasketball.com to complete payment. We have 21 Class of 2017 Members. All 21 are headed to college this fall.